I was born and raised in Iowa, and I can’t imagine living anywhere else. In addition to housing the Iowa Writer’s Workshop, Iowa City is one of only seven places in the world UNESCO has certified as a City of Literature. I would love to say I’m a proud graduate of the workshop, but—as I discovered after the first few semesters—college wasn’t for me. I spent the next few years managing a video store, and when our first daughter came along, I knew it was time for a grown-up job. And that point I went to work for Johnson County, where I’ve now been employed for more than a decade. 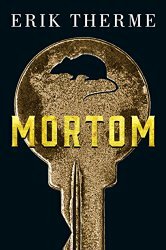 Last October, my self-published debut mystery, Mortom, was acquired by Thomas & Mercer publishing for an April 2015 re-release. I was probably 15 when I churned out my first tale. My parents had purchased a new typewriter, so I thought I’d sit down and see what came out. It was a horrible story with a nonsensical twist, but my folks—God bless ‘em—said they loved it. After that I was hooked. From there came more stories, each slightly better than the last. 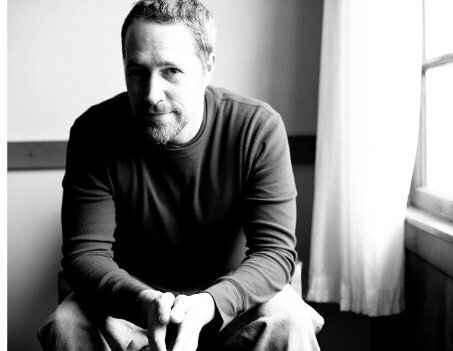 I didn’t attempt my first novel until I was an adult, and even then it was pretty lousy. The moment a person puts words on paper (to tell a story), they are a writer. My first novel was written many, many years ago in an attempt to win back an ex-girlfriend. We had dated during high school, reconnected during my college stint, then moved in together as platonic roommates. I was convinced I could romance her back into my arms by writing the ‘story of our lives.’ The book turned out great and she loved it . . . but she still wouldn’t date me. It was a delightful introduction to the world of rejection. Many authors aspire to create sprawling, epic tales—which is great—but I love crafting brisk, fast reads. Stories that can be devoured in one or two sittings. I was at the library and came across a paperback with the word MORTEM written on the spine. Upon closer inspection, I realized the library sticker was covering the word POST, and the title of the book was actually POST-MORTEM. The word stuck in my head, and I realized it would make a great name for a creepy small town. I changed the E to an O, and the fictional town of Mortom was born. Mortom revolves around family secrets and bad blood. If there’s a moral to be had, it’s that some secrets are better left buried. Everything that occurs in Mortom is grounded in reality, but the chances of any of it happening in real life are probably nonexistent. Which, of course, is the fun in telling stories: to experience adventures beyond our grasp. A good writer always draws from real life, and it can often be a challenge to strike a balance between fiction and reality. The last thing you want to do is alienate friends and family, no matter how tempting their anecdotes might be. My writing is never as elegant as I’d like, and I’m always jealous of authors whose words illuminate the page. Some of my favorites: Reapers Are the Angels (Alden Bell); A Simple Plan (Scott Smith); Winter’s Bone (Daniel Woodrell). I wish I could write half as well as these gentlemen. Fiona: What books are you reading now? I just finished Reconstructing Amelia (Kimberly McCreight) and Revival (Stephen King)—both excellent—and I’m gearing up to read Poe (J. Lincoln Fenn) and Extinction Horizon (Nicholas Sansbury Smith). Rachel Aukes’s ‘Deadland Saga’ continues to impress me. The third book—Deadland Rising—will be available this spring. If you like zombie tales, this is one series to check out! I am currently finishing up my next novel, Resthaven, and then I hope to begin work on a sequel to Mortom. My ambition is to write one book a year, but as we all know, life often has other plans. As many writers will attest, you write (first and foremost) because you love to tell stories. That said, if the day comes when I can support myself through my writing, I would absolutely accept that fate. I’ve always been blessed with the creative bug. When I was a child I loved to draw, and everyone thought I would be an artist. When I reached my teens, my interests shifted to music and writing, and I rocked with a garage band throughout most of high-school. One of my favorite aspects was crafting song lyrics, and when the band broke up, I shifted all my creative energy toward writing stories. I struggle with writing action. One of the golden rules for a writer is ‘show don’t tell,’ but every time I put action on the page it feels like forced description. It’s not uncommon for me to spend hours on a single paragraph, trying to get the words right. Fiona: Who is your favorite author, and what is it that really strikes you about their work? I often joke that I ‘learned to write by reading Stephen King,’ but it’s the absolute truth. He’s a brilliant storyteller and an incredible curator of characters. The town of Mortom is modeled after Farmington, Iowa, where my father grew up. One of the advantages of basing my novel on a local place was the ability to drive there and seek inspiration, which I did on multiple occasions while writing the book. 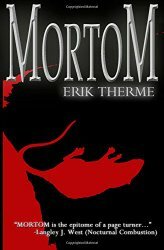 When I self-published Mortom, I thought it would be fun to design the cover myself. I was happy with the final result, but I would definitely approach a professional illustrator for any future self-publications. The current cover of Mortom was designed by the new publisher, Thomas & Mercer. Revising. Mortom went through three extreme drafts before it was ‘officially’ finished, and even then I continued to tinker. I can still find 50 things I’m unhappy with. At some point you just have to say ‘enough is enough’ and release it into the world. Otherwise it will drive you insane. Fiona: Did you learn anything from writing your book and—if so—what was it? Patience. I’m not a prolific author, and it takes me an incredible amount of work (and time) to get the words the way I want them on the page. Never give up, as anything can happen from one day to the next. I once had a literary agent tell me to write more like Gillian Flynn, and two weeks later Gillian Flynn’s agency requested my current manuscript. The world of publishing is a crazy, subjective place. Dr. Suess was ever-present during my childhood, but the book that truly stands out in my memory is Harold and the Purple Crayon. It’s a fantastical tale about a child who ‘draws things into existence’ with his crayon. It was a joy to revisit the tale with my own children. Fiona: What TV shows / films do you enjoy watching? My 15-year-old is currently obsessed with horror movies, so many of my evenings are spent in the dark, listening to her screams. During the day, Parks & Rec and The Simpsons are popular picks. Fiona: If you were not a writer, what else would you like to have done? I’m a semi-compulsive organizer and can easily spend hours making spreadsheets, lists, or reorganizing the nooks and crannies of our house. I could absolutely see myself working as a professional organizer to help keep others clutter-free. Fiona: Do you have a website? If so what is it? The best way to find me is at www.eriktherme.com or Facebook. I love connecting with people!